Hear and see what inspires Marian Bijlenga’s works on view in Constellation—drawing in space. 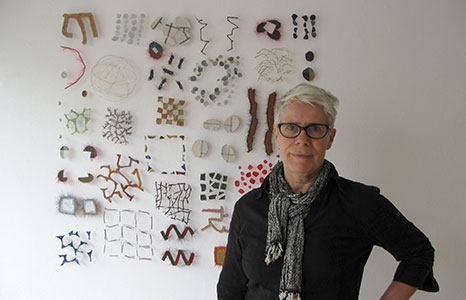 A Dutch contemporary artist, Bijlenga approaches mark-making with an innovative use of materials as a drawn “line.” Her unique constructions respond to the environment, echoing her interpretations of interconnected webs of fiber. Drawing on a non-traditional use of the sewing machine, these sculptures are mere whispers of dark and light, playing on positive and negative spaces, sometimes barely visible gestures as a shadowy effect. Price: Free with museum admission, RSVP required.